Eastern Head & shoulder massage relieves aches, pains and tension in your scalp, neck, and shoulders. 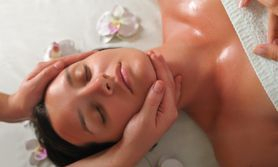 Massage stimulates the flow of blood, lymph and oxygen in your upper body, and helps clear your sinuses, relieve stress, tension headaches and helps you sleep better. Reflexology is a form of complementary therapy which, through the massage of the feet, aims to promote wellness in other areas of the body. 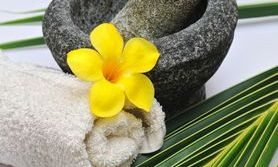 Aromatherapy body massage using 100% natural essential oils to promote healing and well-being. All oils are made with love in the UK with organic ingredients.